Borneo is a large island in Southeast Asia that is divided among three countries: Malaysia, Indonesia and Brunei. Borneo is the third largest island in the world, after New Guinea and Greenland. Sabah, the second-largest state in Malaysia, lies on the northern extreme of Borneo. Kota Kinabalu is the state capital of Sabah – known as the “Land Below the Wind” because it is geographically located below the typhoon belt. All major hotels and resorts in Borneo provide a selection of large and well-equipped venues for hire, ranging from conference venues and meeting rooms to private event spaces that cater for all group sizes. Kota Kinabalu has been host to numerous conferences and trade fairs including the Asia Pacific Tourism Conference by the United Nations (UNCTAD), the ASEAN Australian Engineering Congress, the biennial Sabah International Expo (SIE) and many more. Additionally, names such as ING, DHL, Coca-Cola, Ferrari and Hewlett-Packard have also chosen Borneo as their incentive destination. Borneo holds many natural treasures for those adventurous enough to leave the cities for the wilds of the forests. Three of the highest mountains in Malaysia are found in Sabah. The most visited is the Summit Trail of Mount Kinabalu (4,095m) – a 2-day climb. The well-trodden trail is not technically difficult but the altitude change from 1,600m at the start to the summit can be a bit daunting so a reasonable amount of physical fitness comes highly recommended. The climb can be done within a day but the high point of this adventure is to reach the highest peak on Day 2 for a truly spectacular view of sunrise over the summit plateau and surrounding mountain range. The islands off the coast of Sabah offer some of the best scuba diving experiences in the world. Sipadan Island ranks high on the list of dream dive spots and is considered one of the big fish capitals of the world with its shoals of barracudas, trevally and bumphead parrotfish. The coral reefs at Sipadan are stunning and offer exciting experiences for divers and snorkelers alike. The nearby islands of Mabul, Mataking, Pom Pom and Kapalai have lesser numbers of pelagic species but more than makes up for it with their spectacular marine macro life. Muck diving enthusiasts will enjoy the amazing variety of nudibranch and encounters with crocodile fish, garden eels, frogfish, flamboyant cuttlefish and blue-ringed octopus among a long list of marine life. The islands of Tunku Abdul Rahman Park are popular for snorkeling, as the waters are shallower and calmer. With a short boat ride from Kota Kinabalu, the islands are perfect for day trips. Nestled on the banks of the Kinabatangan River is the award winning Sukau Rainforest Lodge (SRL) – which recently became a charter member of National Geography Unique Lodges of the world. SRL was the first 20-room lodge in the area designed based on ecotourism principles. The lodge provides a great wildlife experience to visitors while preserving the Kinabatangan floodplain. SRL embraces conservation, community development and sustainable tourism as part of its green policies. SRL offers wildlife river cruise with chances to see many of Borneo’s rare and endangered species including the Bornean pygmy elephant, orang utan and proboscis monkey. The birdlife in the lower reaches of the river is also impressive with all eight species of hornbills, kingfishers and many more. Wildlife viewing in Borneo is amazingly easy on a river cruise. At 560km, Kinabatangan River is the longest river in Sabah, and second in Malaysia. The flood-plain of the Kinabatangan is one of the most exceptional areas in eastern Malaysia. The Lower Kinabatangan Wildlife Sanctuary is known to have among the highest concentration of wildlife in Borneo. Birdlife in Sabah is as diverse as the habitats they live in. A large number of endemic bird species are found in the highlands so if you’re looking for montane species, head for Kinabalu Park and the Rafflesia Forest Reserve in the Crocker Range. Kinabalu Park has at least 17 endemic bird species including the Borneon Leafbird, Mountain Blackeye, Mountain Barbet, Whitehead’s Trogon and Whitehead’s Broadbill. The most popular areas for lowland species are the Poring Hot Springs, Danum Valley and Tabin Wildlife Reserve. The people of Borneo can be credited for most of the alluring tales of early travels. 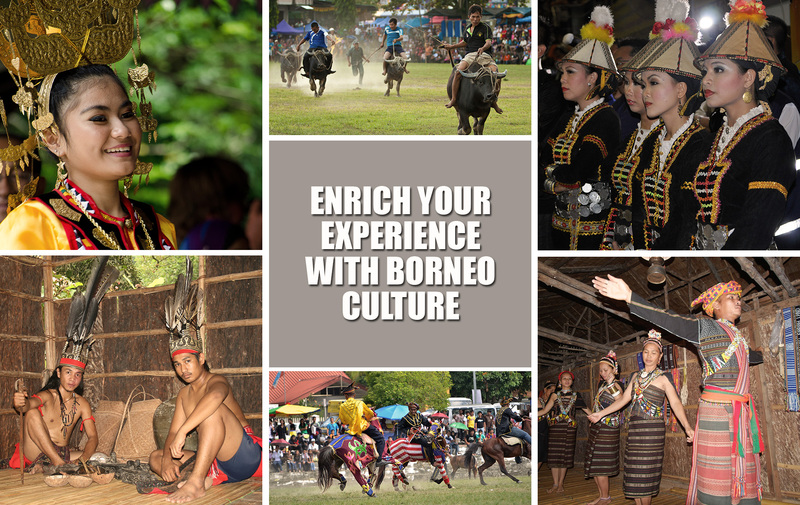 Borneo is a melting pot of 32 different ethnic groups and each one is distinctive in the environment they live in, their customs and traditions, costumes, music, dance and crafts. The largest indigenous group is the Kadazan Dusun, followed by the Bajau and Murut. Traditional architecture is another unique culture feature of Borneo’s indigenous people. The most distinctive of these are the longhouses of the Rungus who live by the coast in the north and the Murut who live deep in the forest in the south. With 32 indigenous groups in Borneo, you can expect to see a kaleidoscope of colours, patterns and embellishments in ethnic costumes. Many of these costumes have retained their original designs and decorative elements, which have been passed down from preceding generations. One of the great things about living in a multi-cultural society is the food culture. The variety is amazing and you get so many levels of taste, textures and spiciness. 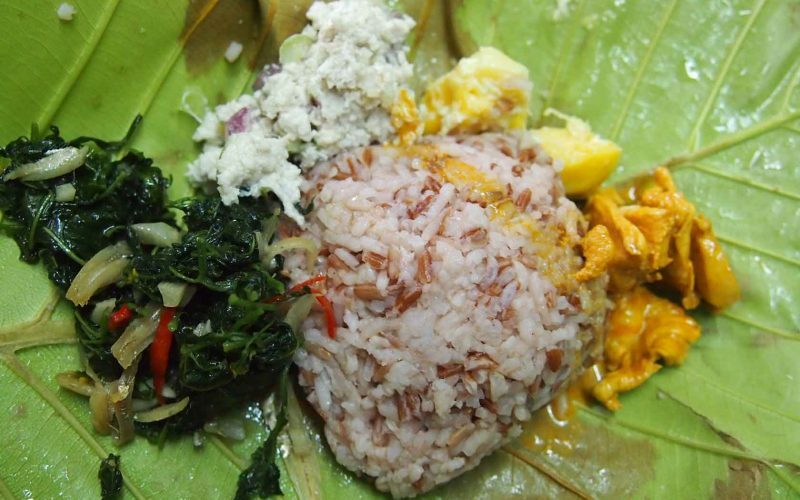 It also means eating traditional food such as Hinava, Tuhau, Bambangan, Pinasakan, Ambuyat and many more. 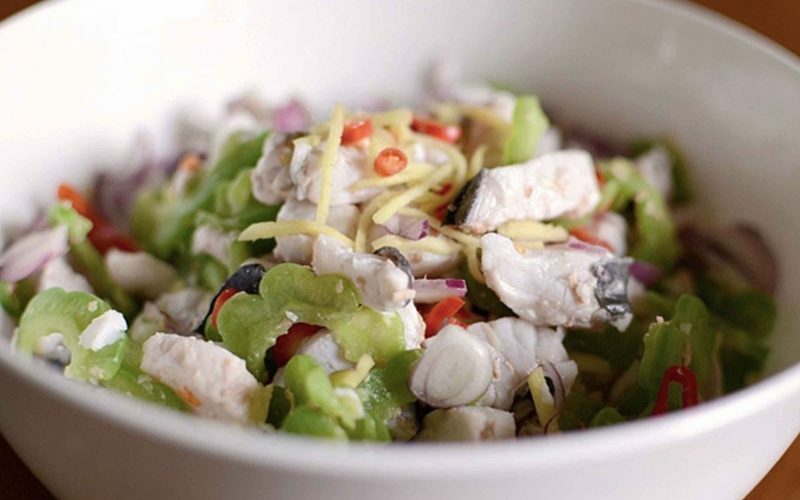 Borneo has plenty of simple yet delicious dishes, which are mainly pickled or preserved. 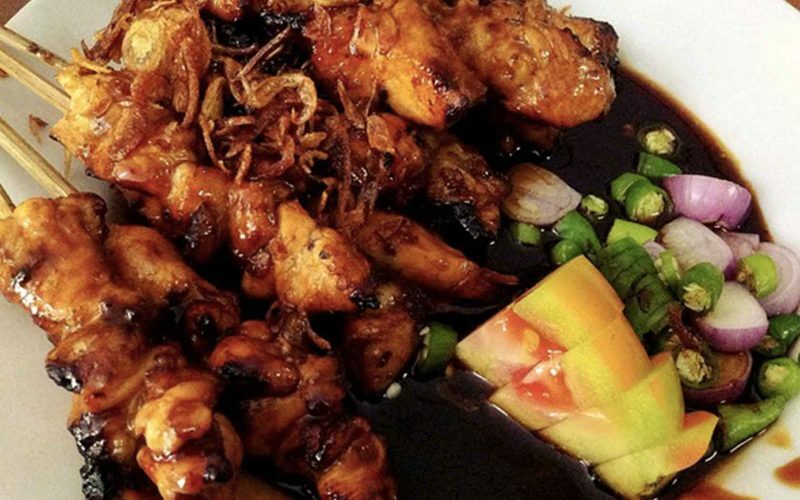 The one important element of the food in Borneo is the freshness of the local produce. 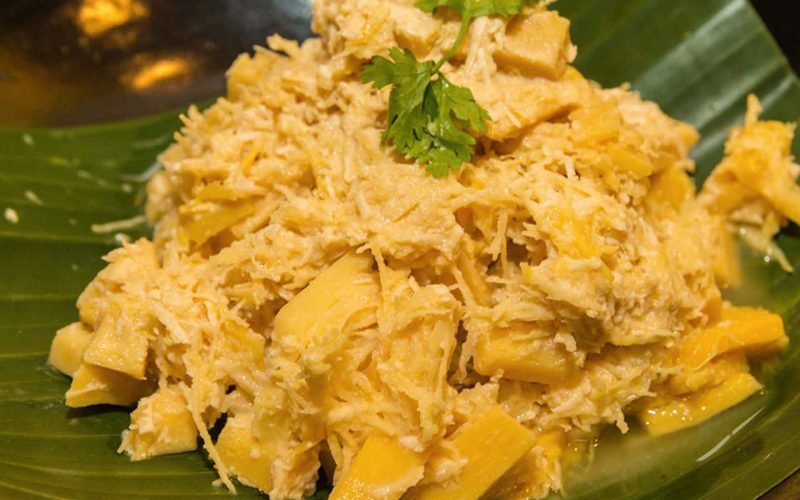 Seafood, vegetables and tropical fruits are abundant and you can taste it in every bite – truly a gastronomic adventure to be savoured. 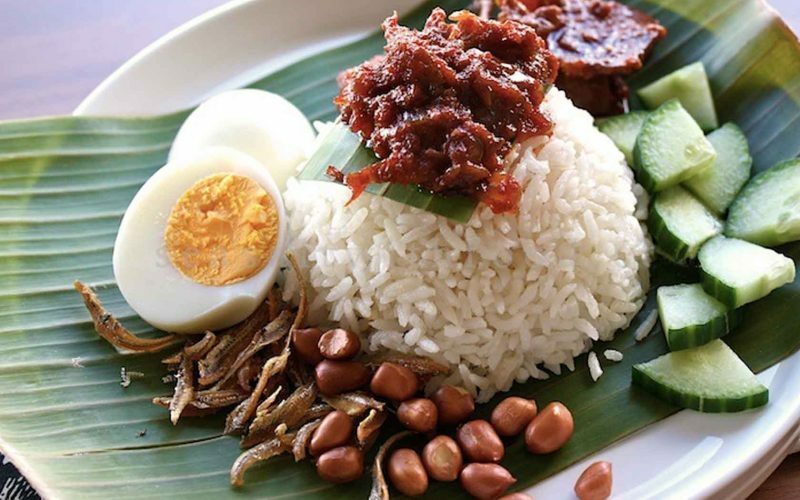 The food culture in Sabah is also inspired by flavours from around the world and you can find restaurants such as Japanese, Thai, Italian, Korean and other international cuisines serving up the comforts of home. The more casual cafes and “Kopitiam” (coffee shops) offer a variety of flavourful and fuss-free food for a quick meal.